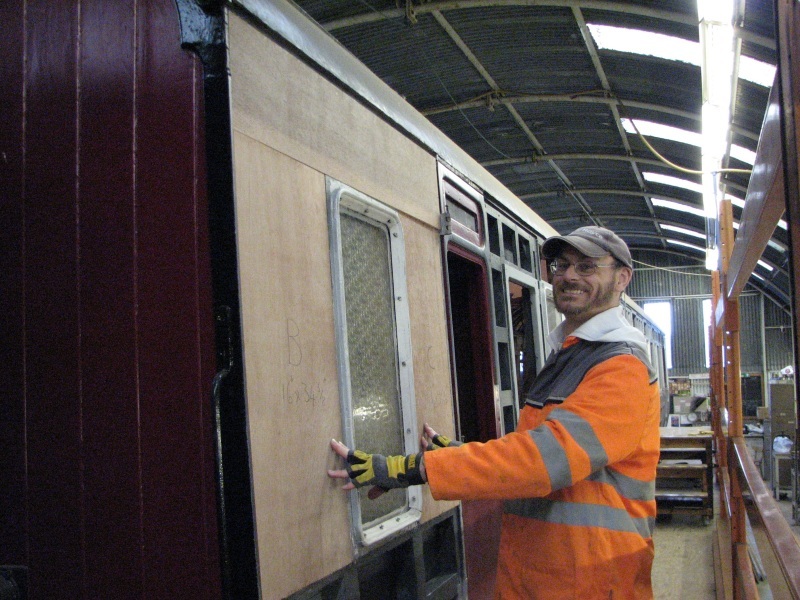 Now that the final frame repairs have been completed on Third Open 7828 at Rowsley, thoughts turn to re-panelling. Originally panelled in mahogany, we are using 9mm WBP ply, and Alan Taylor sprang into action by cutting out virtually all the panels for the upper bodyside, while James White and I made sure any bare wood on the framing had at least a coat of primer applied. The ply will need pva wood glue applying to the edges then priming and painting on both sides with the exterior side getting the paint, sand, fill, paint treatment many times over. Alan looks very happy with his efforts don’t you think?